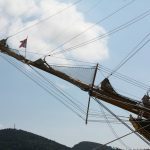 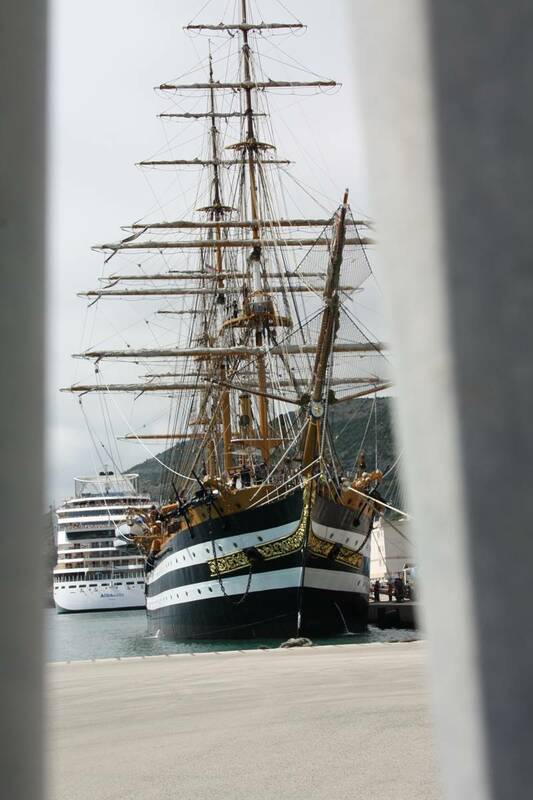 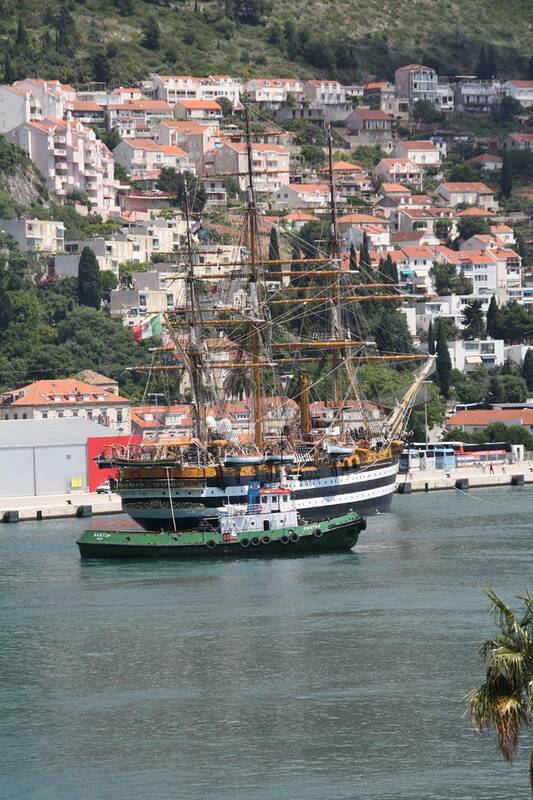 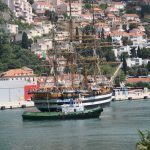 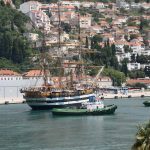 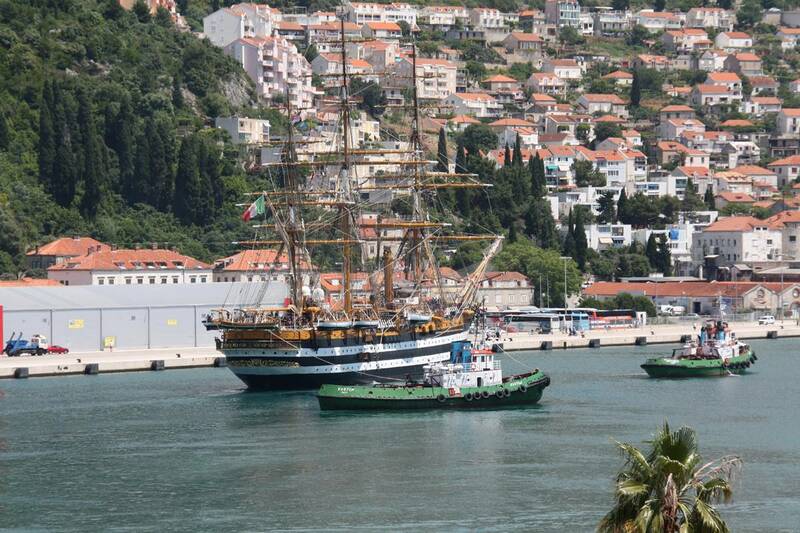 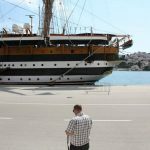 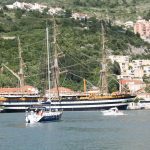 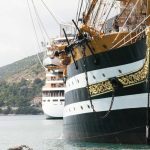 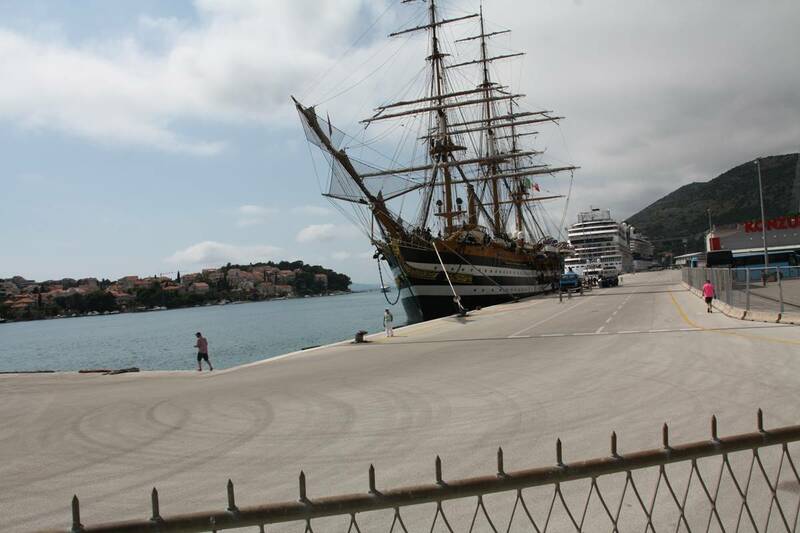 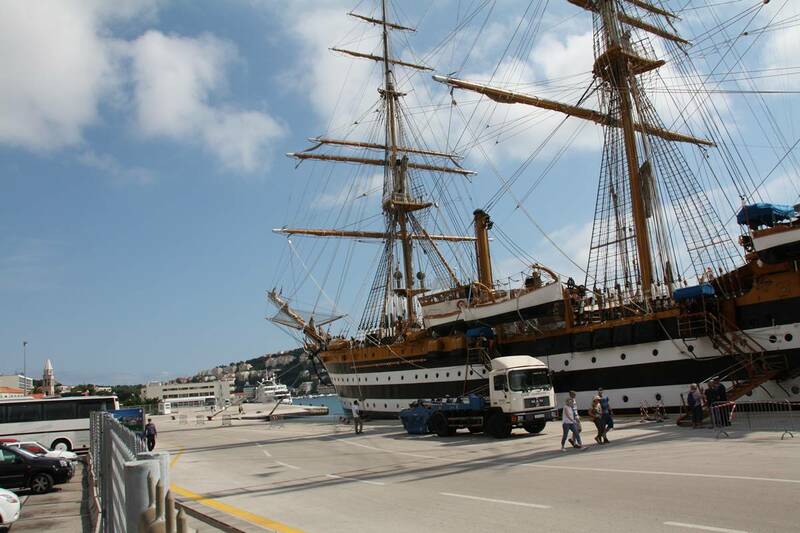 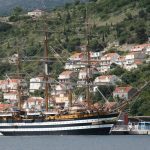 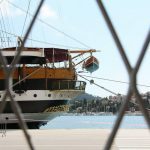 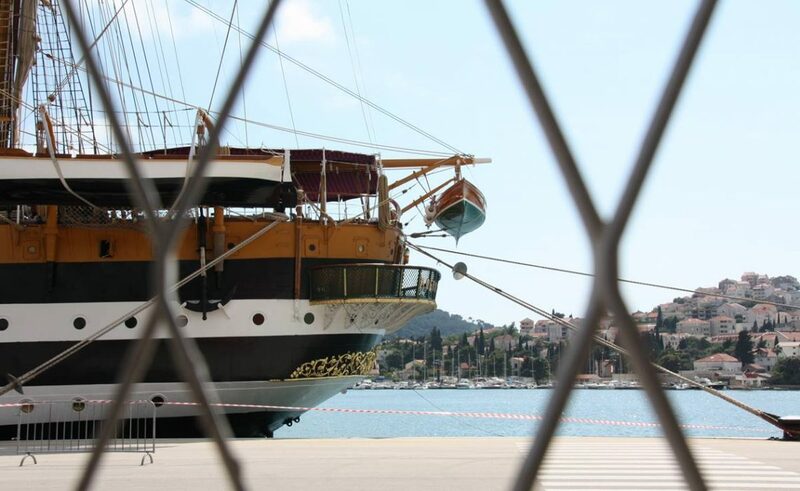 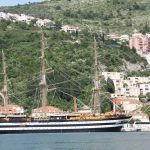 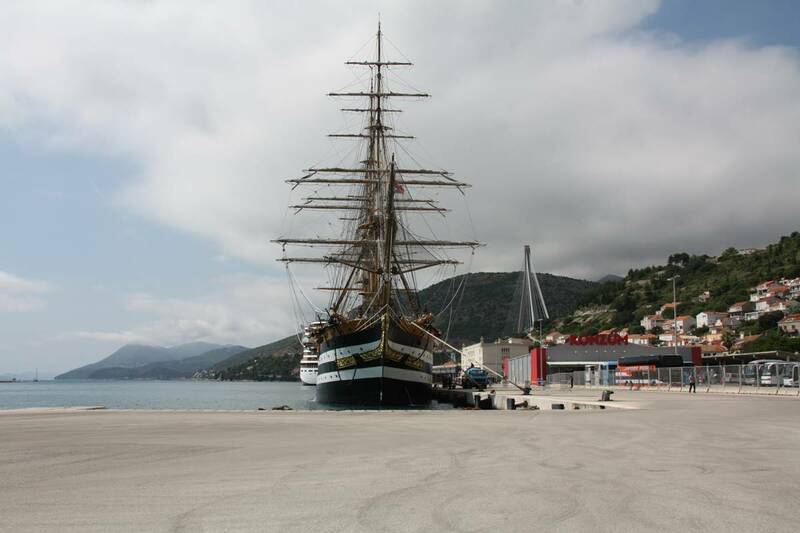 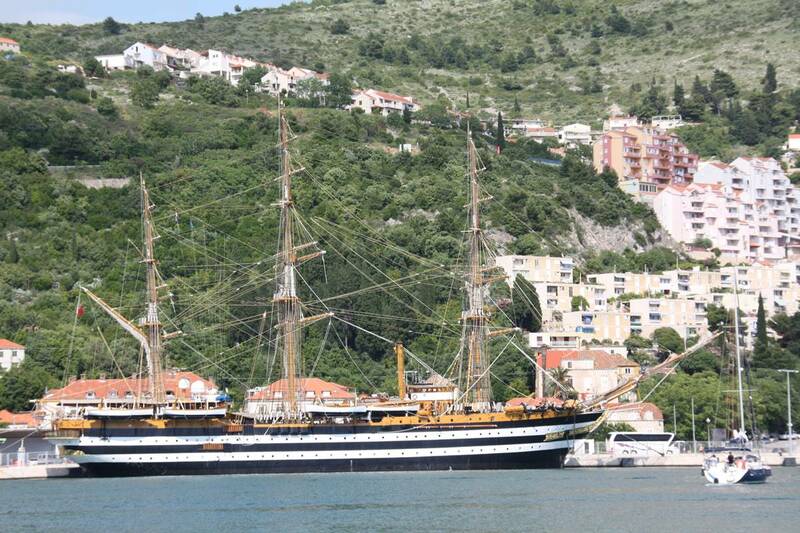 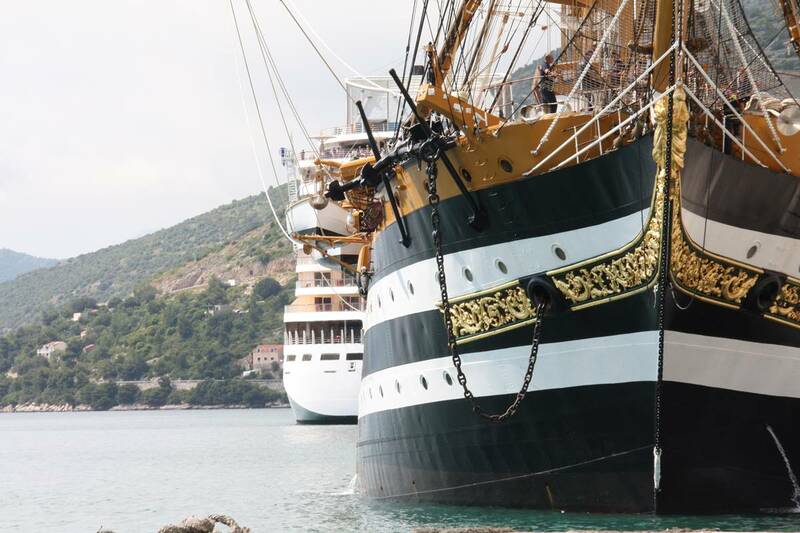 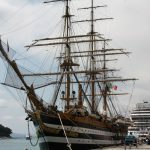 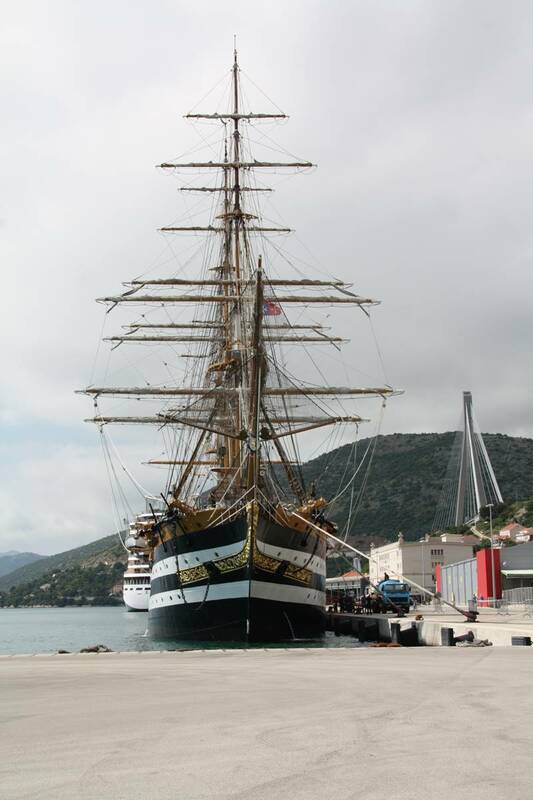 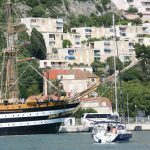 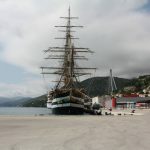 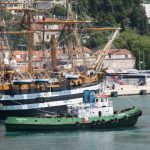 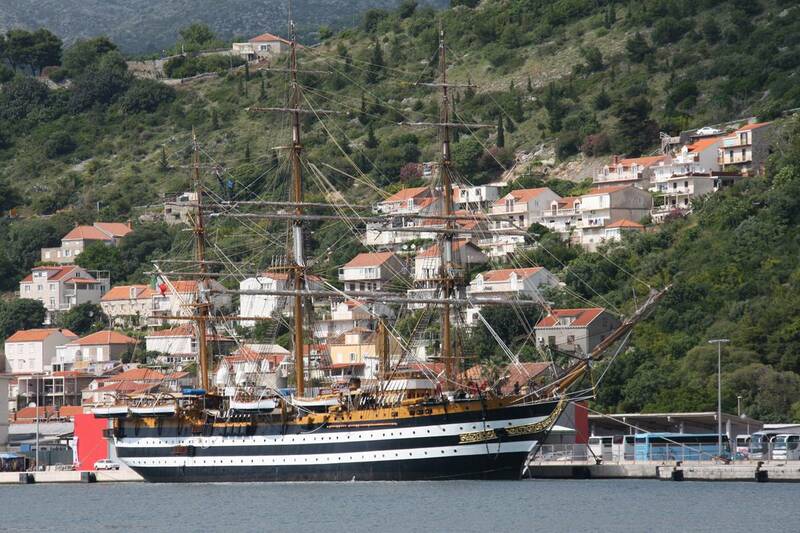 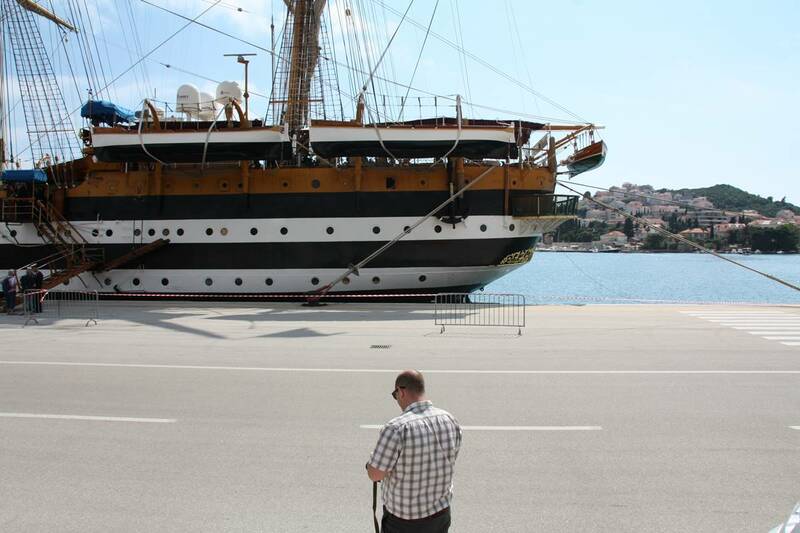 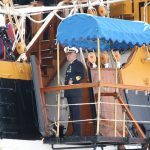 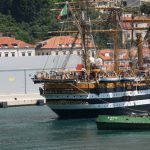 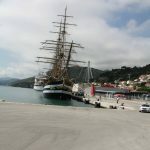 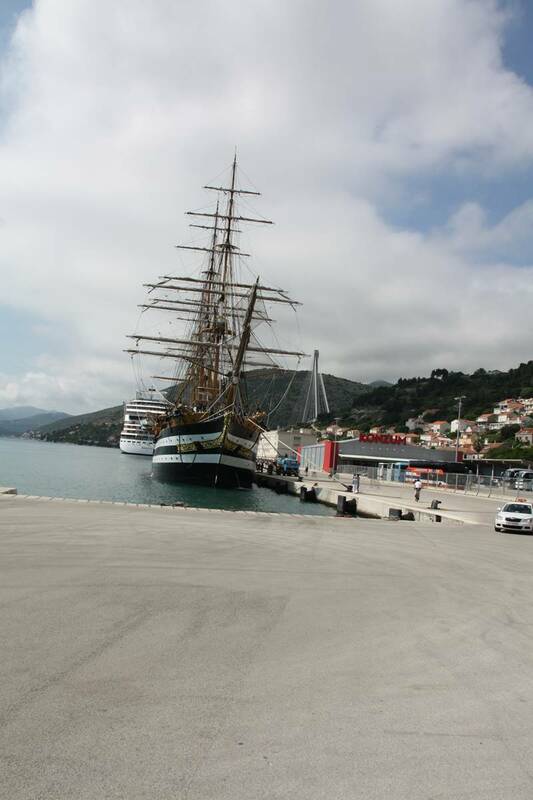 ‘Amerigo Vespucci’, a tall ship of the Marina Militare, named after the famous explorer, arrived today in Gruž Port, so we decided to head it there and pay a photo visit to beautiful Italian guest. 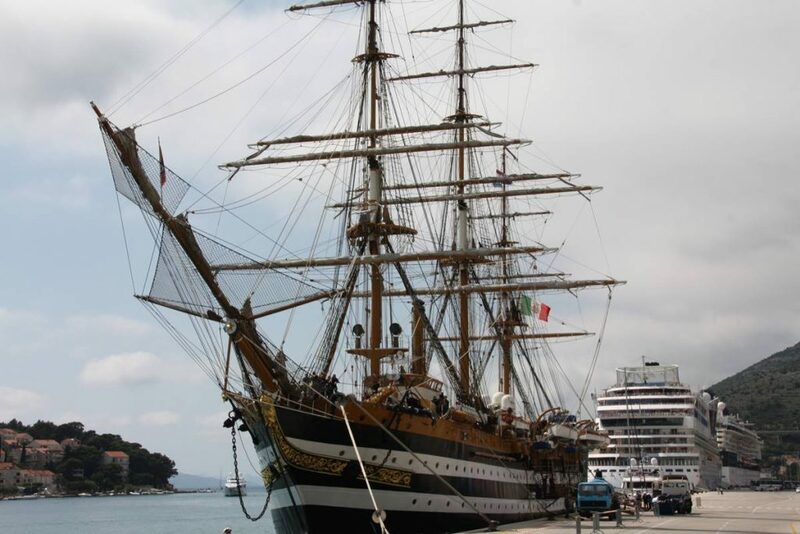 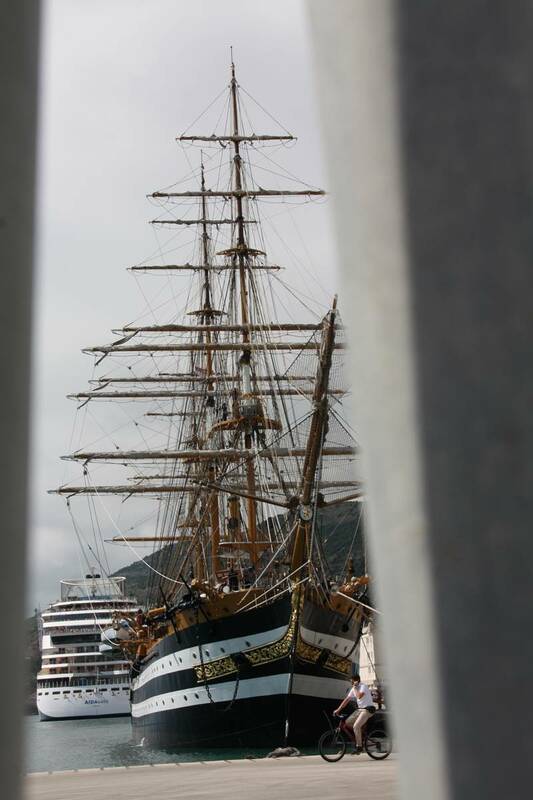 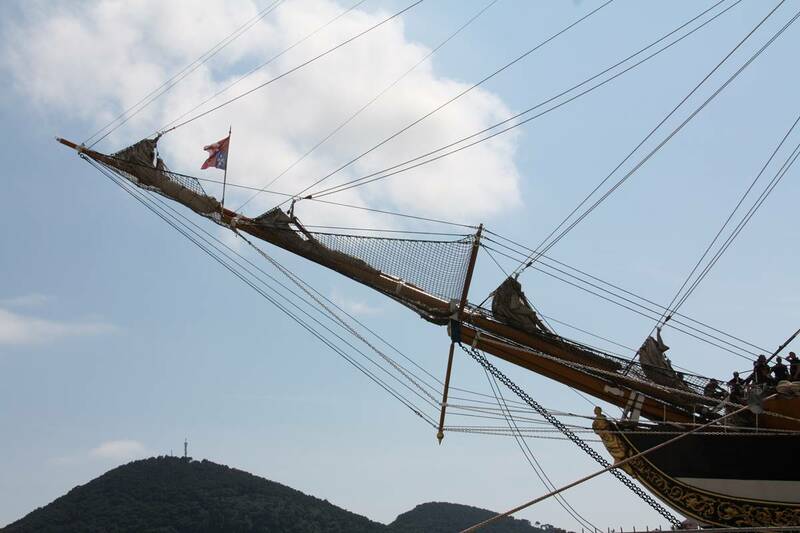 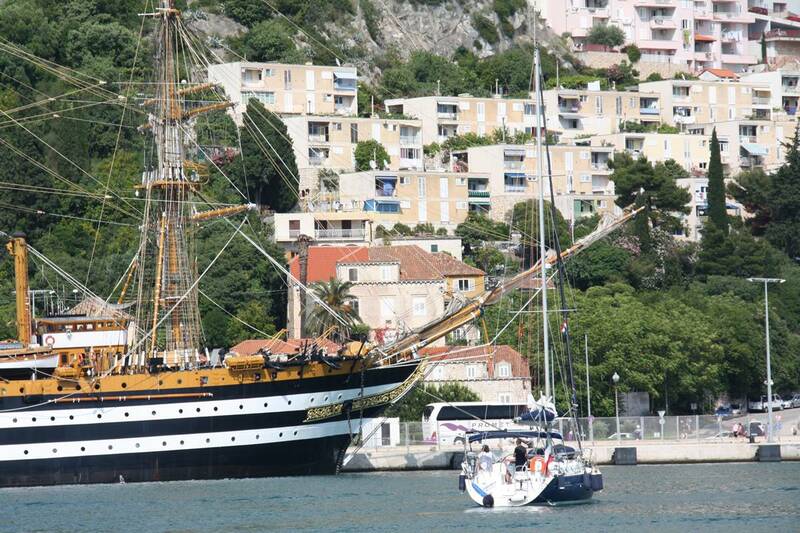 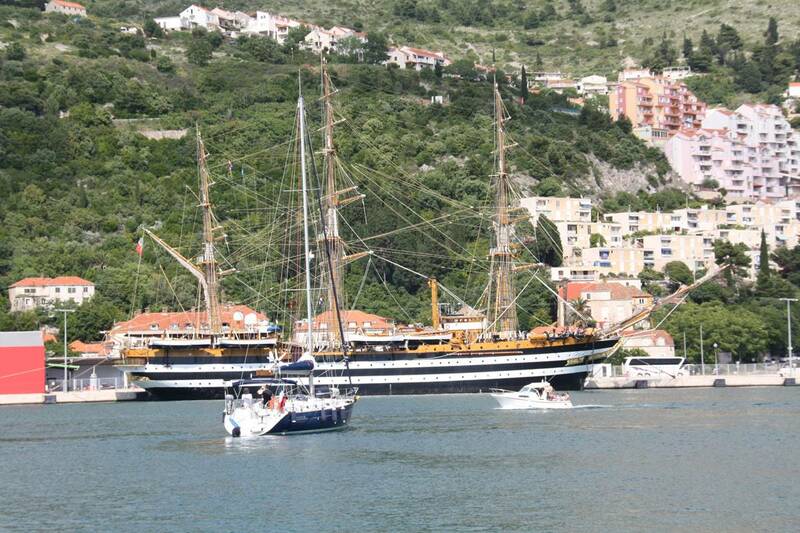 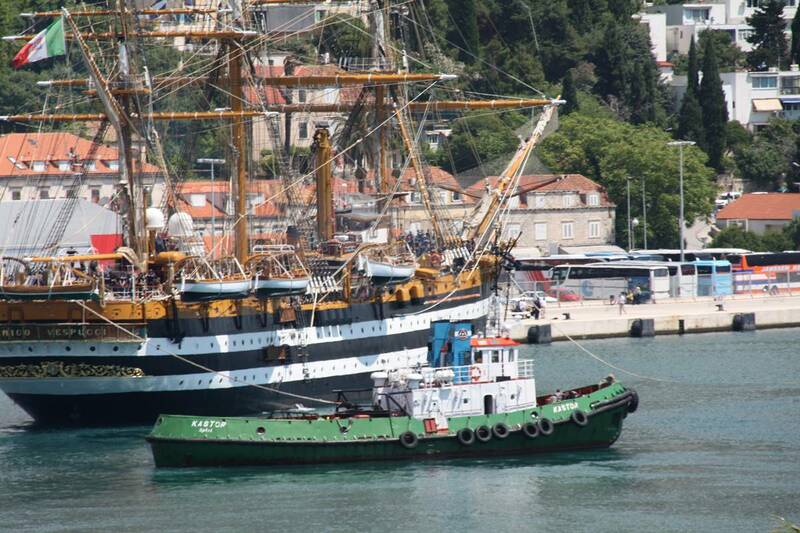 Home port of Amerigo Vespucci is La Spezia, and she is now used as an school trips ship. 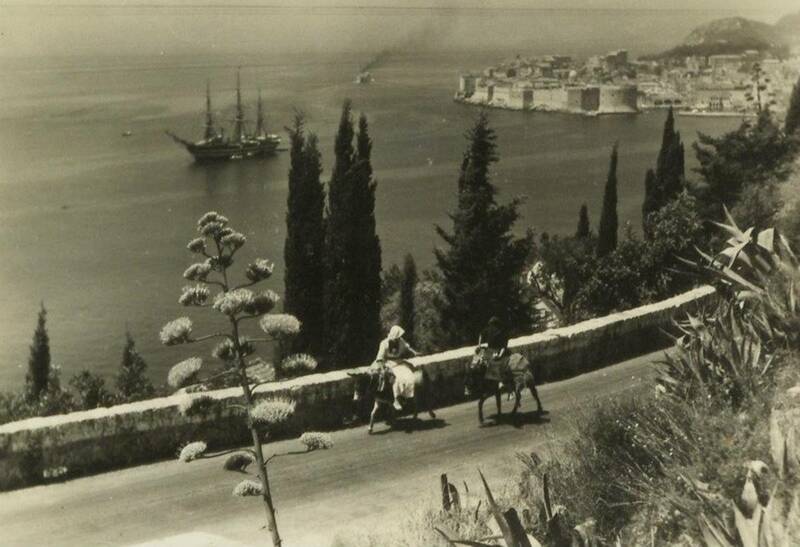 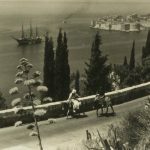 This is certainly not the first visit to Dubrovnik – ship was here few years ago, and also in the fifties – Just Dubrovnik got some amazing black and white photos from the Facebook group ‘Dubrovnik nekad’ (Dubrovnik as it used to be), where people collect old photos, postcards and similar memorabilia. 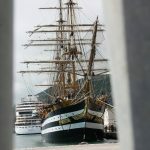 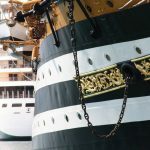 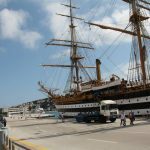 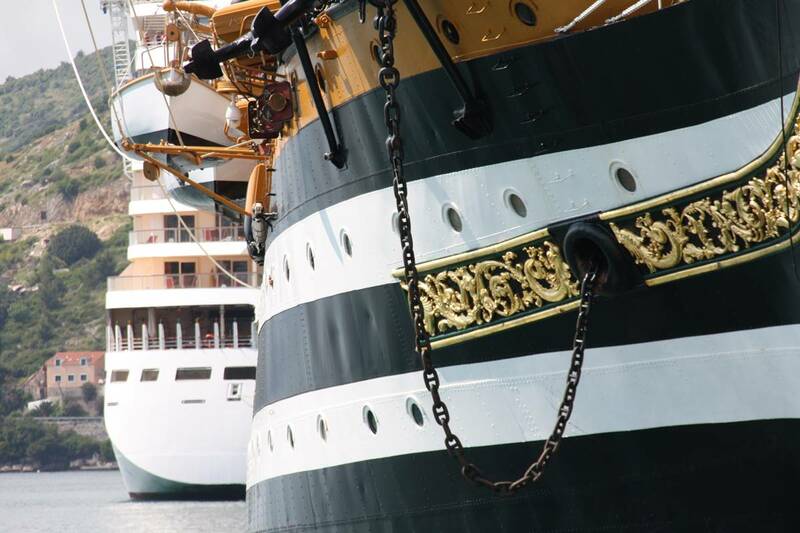 Let’s see something more about this marvelous ship – Amerigo Vespucci was built in 1930, at the (formerly Royal) Naval Shipyard of Castellammare di Stabia (Naples). 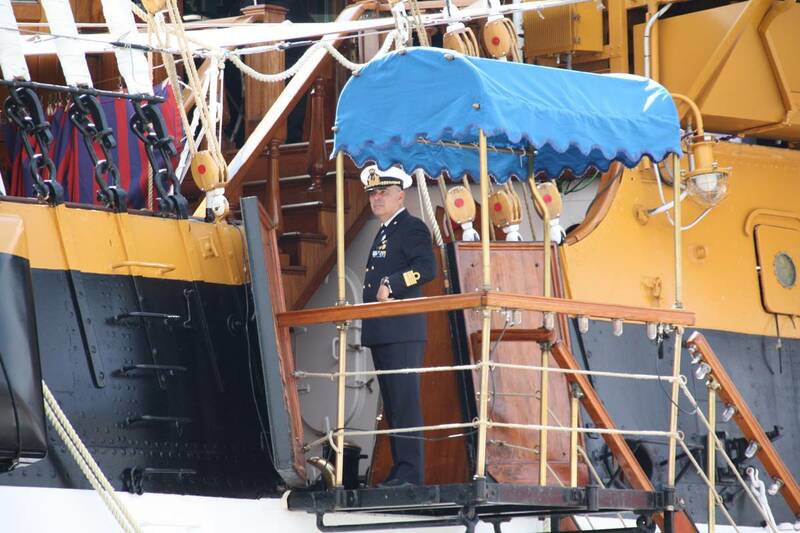 She was launched on February 22, 1931 and put into service in July of that year. 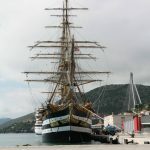 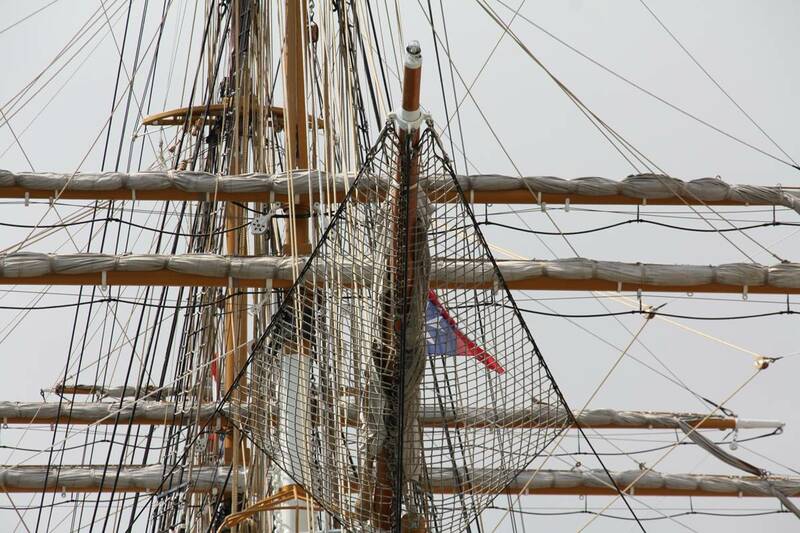 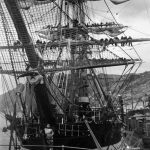 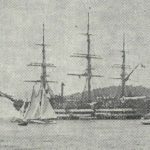 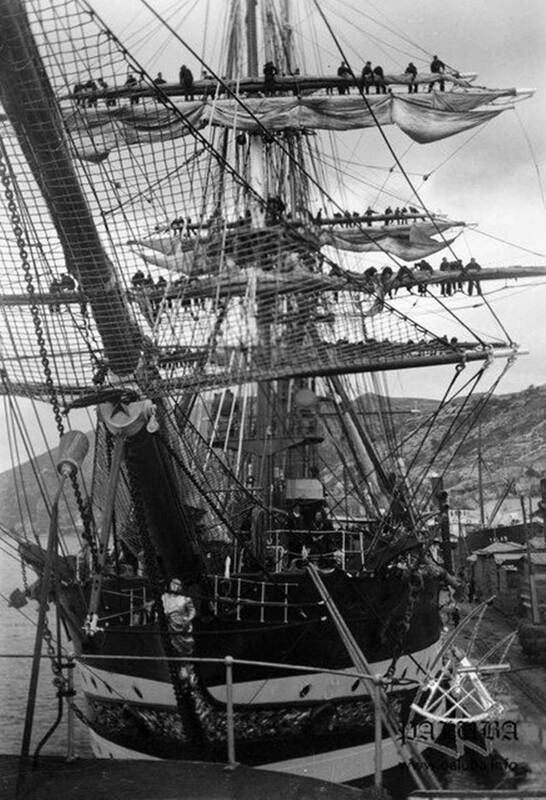 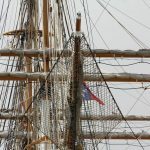 The vessel is a full rigged three-masted steel hull 82.4 m (270.34 ft) long, with an overall length of 101 m (331 ft) including the bowsprit and a maximum width of 15.5 m (51 ft), says Wikipedia. 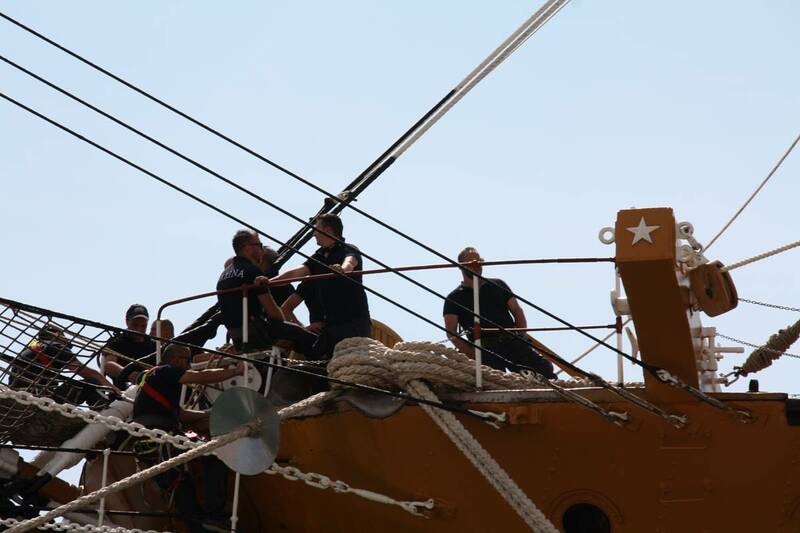 The standard crew of the Amerigo Vespucci is 16 officers, 70 non-commissioned officers and 190 sailors. 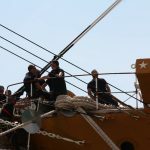 In summer, when she embarks the midshipmen of the Naval Academy (Accademia Navale), the crew totals some 450 and she is constantly active, mostly in the European waters. 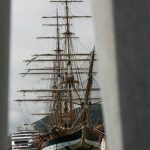 Check the photo gallery we made! 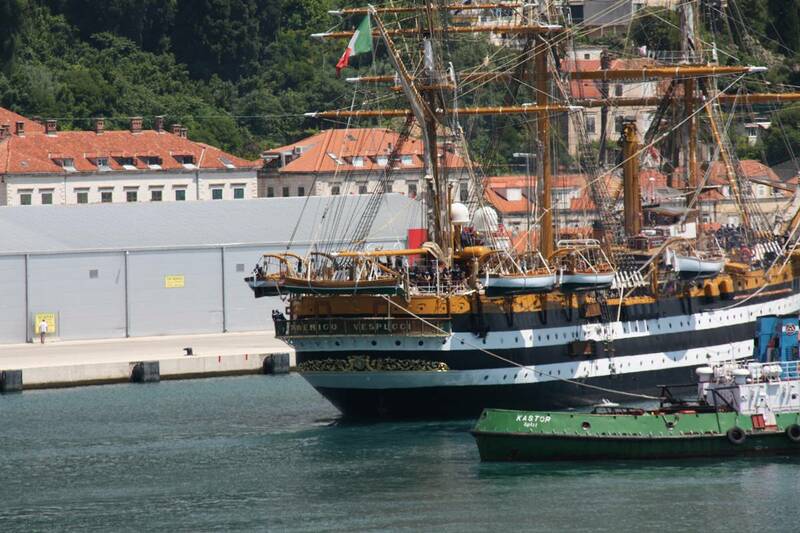 Opera Arias and Overtures in Front of the Rector’s Palace! 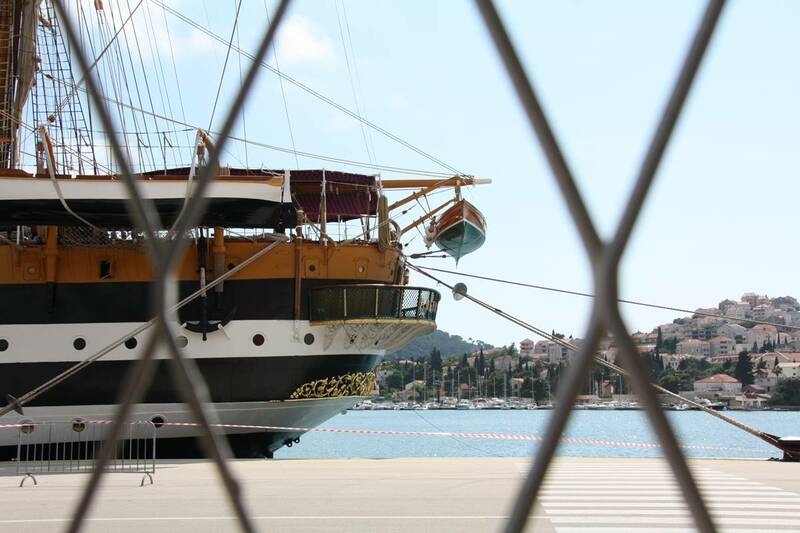 Sunny Days Ahead Us: Hello Summer, We Have Been Waiting for You!